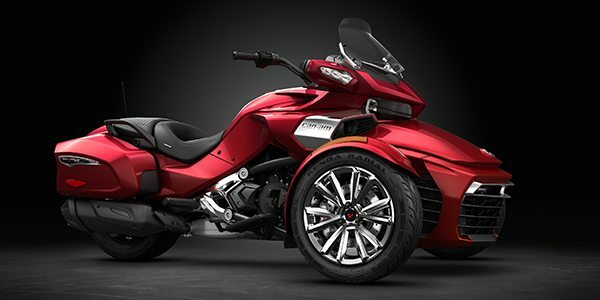 When you ride a Can-Am Spyder F3, the destination becomes the ride itself; a one-of-a-kind experience in open-air riding. A cruising riding position, low center of gravity and performance-calibrated Vehicle Stability System provide dynamic handling and great cornering, while ensuring unprecedented control. The Rotax 1330 ACETM engine offers the power, torque, and signature exhaust note guaranteed to make every journey exhilarating. 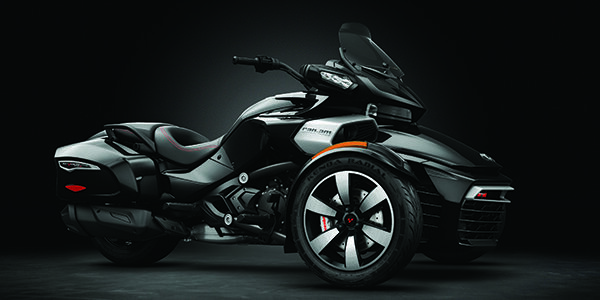 The Can-Am Spyder F3 was awarded the prestigious Red Dot Award: Product Design in 2015. This international seal of quality recognizes the best achievements in product design. New for 2016, the Spyder F3-T and F3 Limited offer greater freedom and flexibility. Loaded with comfort and convenience features, both models blend performance with practicality and feature extra cargo space for longer rides. And to make the journey as comfortable as possible, all Spyder F3 models also feature the exclusive UFit system, allowing the rider to adjust the riding position to find a truly customized fit, feel and riding experience.